Order your Instagram slideshow for your wedding. 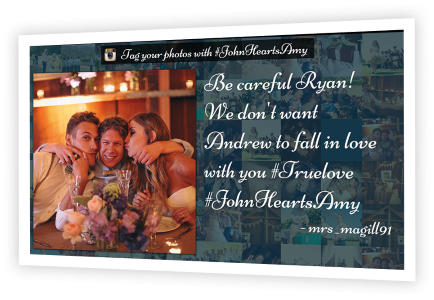 You'll get our unique Instagram visualization customized for your wedding, suitable for any screen or projector. Upon completion of your order, you have instant access to your wall. If you don't get 50 or more images on your wall, you will get a 100% refund!